Since coming out of her abusive marriage Nasema has been trained by coaching giants in the Muslim and non Muslim world. 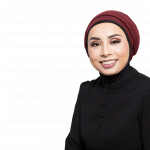 As The Dating Coach Nasema helps singles to powerfully navigate the halal dating scene with ease. She empowers singles meet and marry their soulmate so they can have a healthy loving and long-lasting relationship. Nasema is also the co-author of the number one best-seller The Muslim Entrepreneur Mind. You can download her FREE ebook Unstoppable Confidence: 13 POWERFUL steps to Happiness and Life on Your Terms at nasemabegum.com. You can follow listen to her podcast ’The Halal Dating Show’ on ITunes.